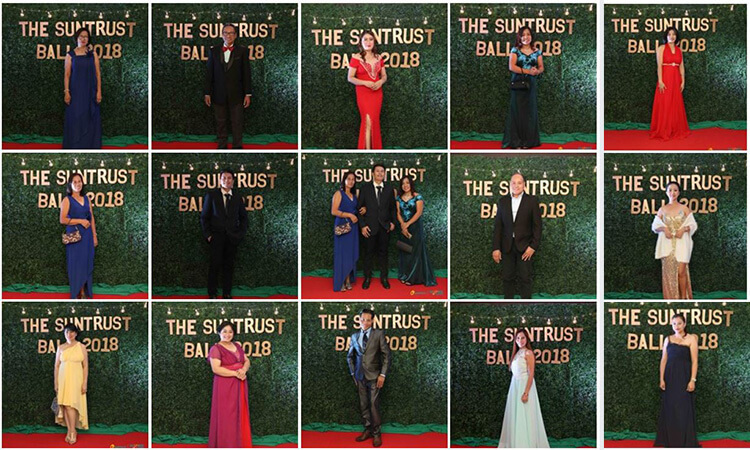 Suntrust Marks 21st Year With Isang Pasasalamat | Suntrust Properties Inc.
Suntrust Properties, Inc. (SPI) truly has its way of celebrating anniversaries. This year, no grandiose and glamorous event was held yet again but rather a day of thanksgiving for the construction and site workers for their big part and contribution to the growth of the company. 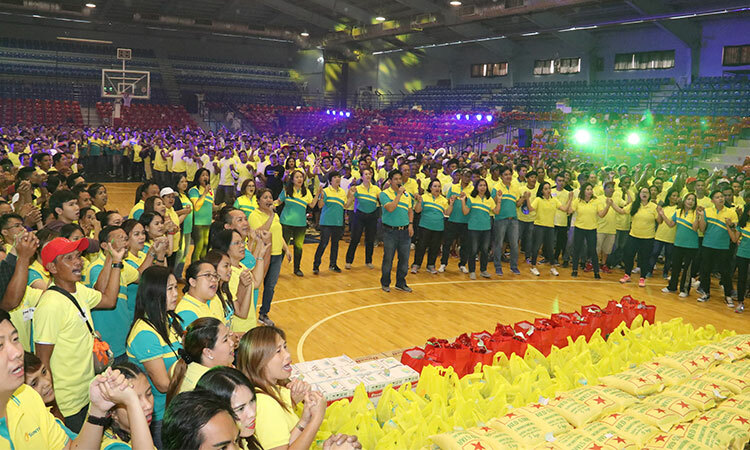 Dubbed as “#BenteUno: IsangPasasalamat”, it was a whole day of activities at the Ynares Sports Arena in Pasig City. Suntrust president Atty. Harry M. Paltongan expressed that if the workers are well taken care of then they will also take care of the company. 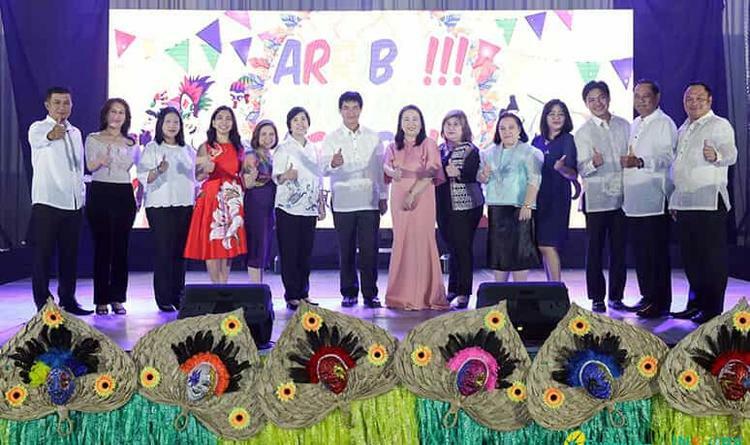 Since the Bentengkyu campaign was successfully launched last year for its 20th year, this thanksgiving is now an annual tradition of the company. the members of the Executive Committee. In time for the company sportsfest, the employees came in their jersey where they joined with the workers assigned to their team. There were a total of eight teams which participated in several games including basketball, CashYa, and Bingo Bonanza among others where the Suntrust executives were also participants. This was the highlight of the event which is geared towards strengthening the bond between Suntrust employees and the site workers. Since the delivery of homebuyers’ expectations is hinged on their shoulders, Suntrust wishes to inspire the workers for greatness in whatever role each may play in the field. 21 mountain bikes were given to lucky 21 workers which came as a surprise at the end of the day. Sacks of rice, groceries, and home appliances were also given away. No one went home empty handed, almost as if Christmas came early. The budget, cash gifts, and raffle items were all from the Suntrust employees, salespeople, contractors, and business partners. Suntrust VP for Credit and Collection Ms. Claire Lastimosa personally hands over sack of rice to site worker. Suntrust Properties, Inc., a Megaworld company, is proud to be the official home partner of PBB Otso. This partnership cements the shared advocacy of the company and ABS CBN which is transforming dreams into reality. Former PBB Housemate Dawn Chang was also present during the celebration. There she hosted a dance showdown between Suntrustees and construction workers where cash prizes and two ABSCBN TV Plus were given as rewards to the emerging winners. 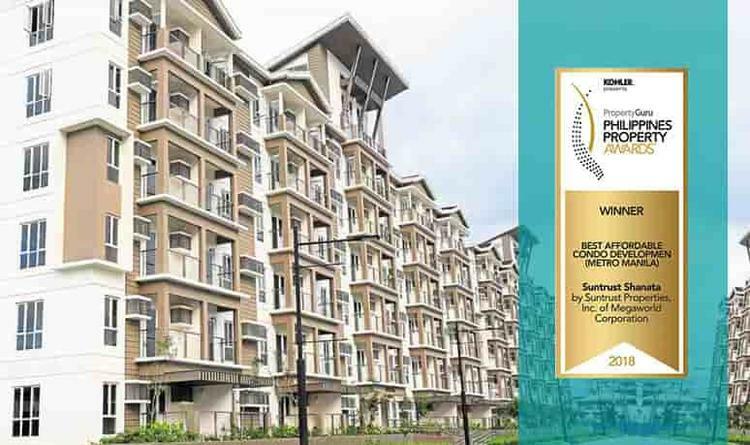 Suntrust aims to be the buyers’ first choice in affordably priced condominium and house and lot units. It has been in the industry for more than two decades now and has 30 projects across the country in its growing portfolio. ABS-CBN artist and former PBB housemate Dawn Chang hosts a dance showdown for workers . Suntrust family: Bigger, Better, Brighter! SPI 2nd Quarter Awards - "Arriba Suntrust Arriba "